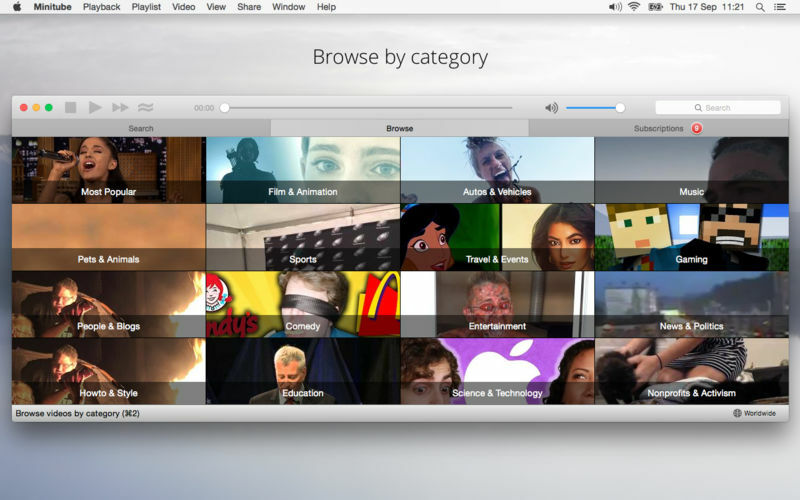 By automatically playing videos one after another, Minitube aims to create a TV-like experience. Stop fiddling, just sit back and enjoy. 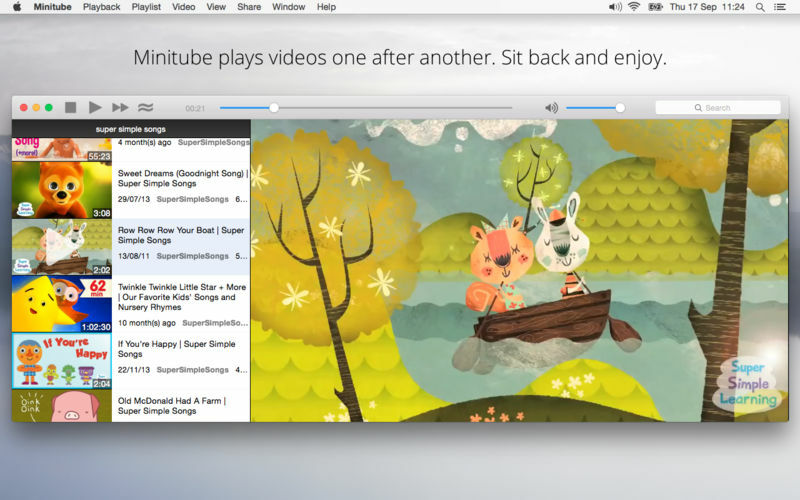 Minitube is designed to be very easy to use, for kids and grandparents too. Minitube is a gift for the whole family. Minitube consumes less memory and CPU than a browser, preserves battery life and keeps your laptop cool. With Minitube you can search by keyword, search YouTube channels or just paste a YouTube link. Related videos are always a click away. You can also browse top videos for your favorite category and country. 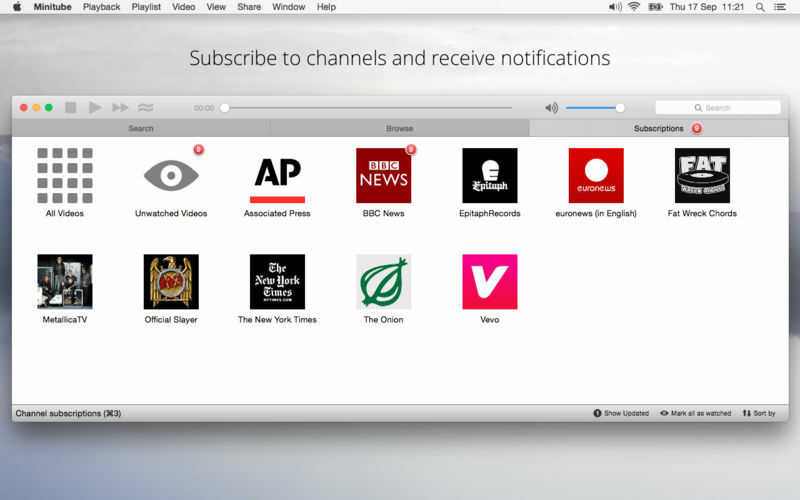 You can subscribe to your favorite channels and be notified of new videos. No need to login with a YouTube account. Minitube is translated in more than 30 languages including Chinese, Arabic, German, French, Italian, Russian, Spanish, Portuguese and Hebrew.